The background to the photos is that prior to the issue of a Transport Certificate of Airworthiness, so many hours (forgotten what) had to be flown on route proving. The Air Registration Board (ARB), BAC and others had the offer of seats and I got an ARB one. 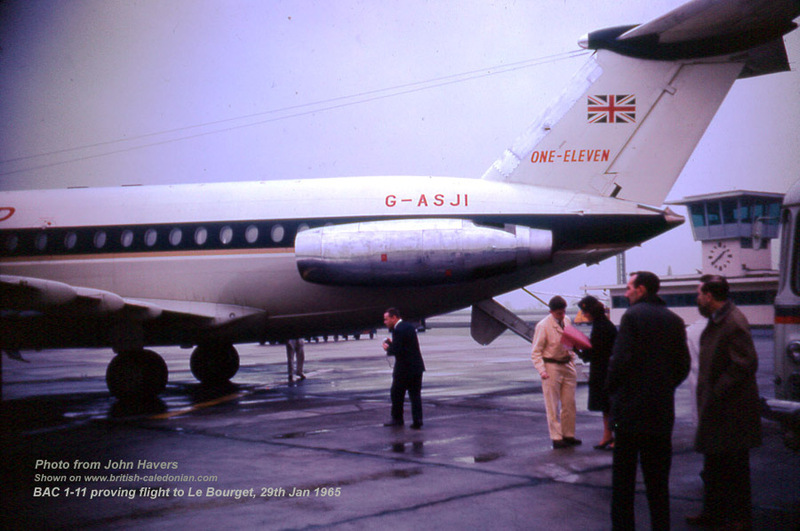 On 29th January 1965 we were scheduled for Milan but owing to maintenance delays we only went as far as Le Bourget. A quick bus trip to Transit and then left again after an hour. Crew were Stan Websper who years later told me his F/O was Alec Lawson. 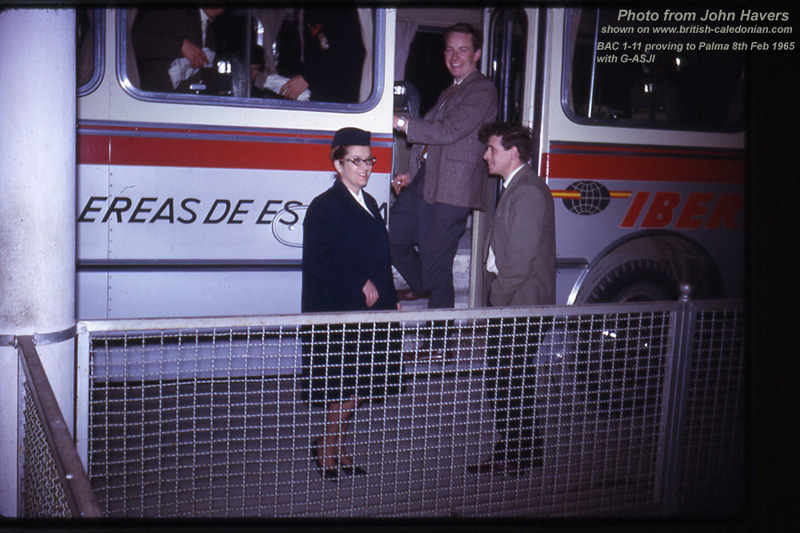 The Plama de Mallorca trip (same crew) on 8th February 1965 was at night, which few wanted to take, again a short stay in Transit and returned to Gatwick just after 0300; then hitched a lift home to Redhill in a newspaper van!